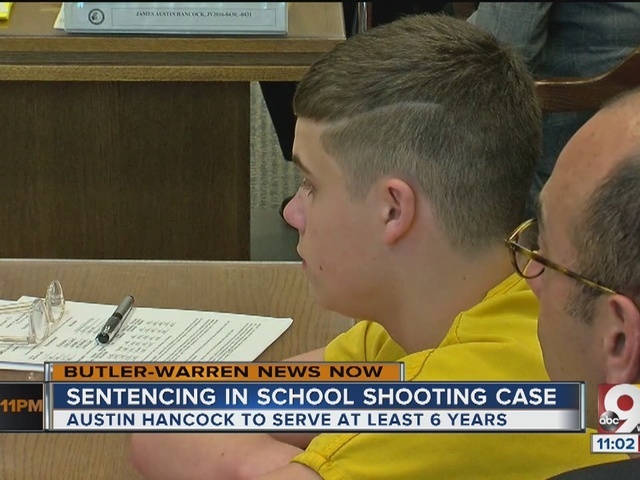 Butler County Juvenile Court Judge Ronald Craft sentenced James Austin Hancock Monday afternoon.The teenager pleaded guilty in April to four counts of attempted murder and one count of inducing panic. Craft ordered a pre-sentencing investigation and agreed to a defense request for a psychological evaluation. Hancock was given three years for each count of attempted murder, totaling to a 12 year sentence. 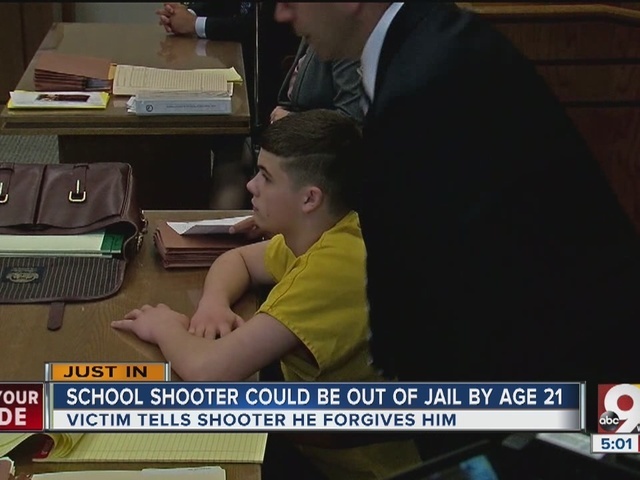 However, if he successfully completes six years of his sentence in an Ohio Department of Youth Services facility, Hancock will be out of jail by age 21. Craft said if Hancock commits a felony while in the juvenile facility, he will serve the full 12 years. Hancock was charged in the February shooting at Madison Local Schools near Middletown. Two students were wounded and two others were hurt in the shootings.